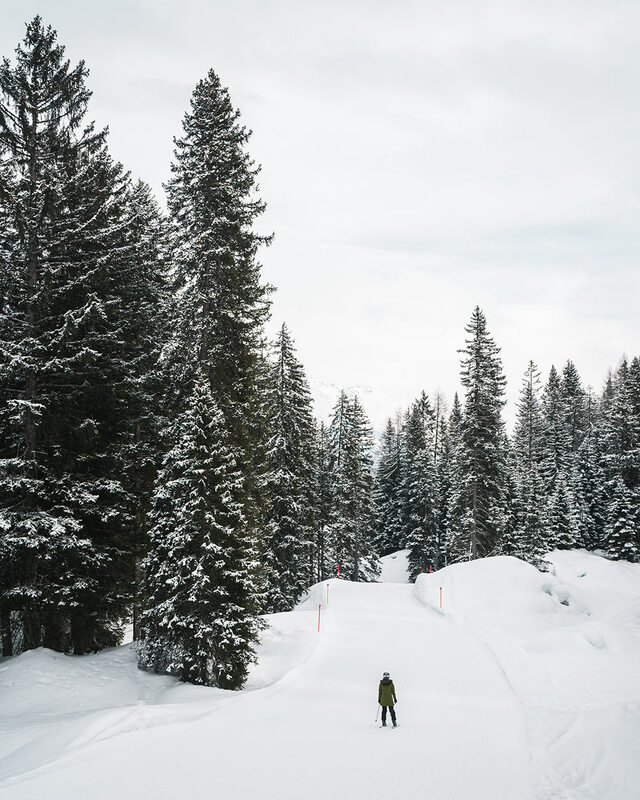 The World Economic Forum is the reason why you’ve heard about the town of Davos in the news; however, thousands of tourists go there every year because Davos-Klosters is the largest ski resort in the Swiss Alps, suitable for beginners and expert skiers and snowboarders alike. 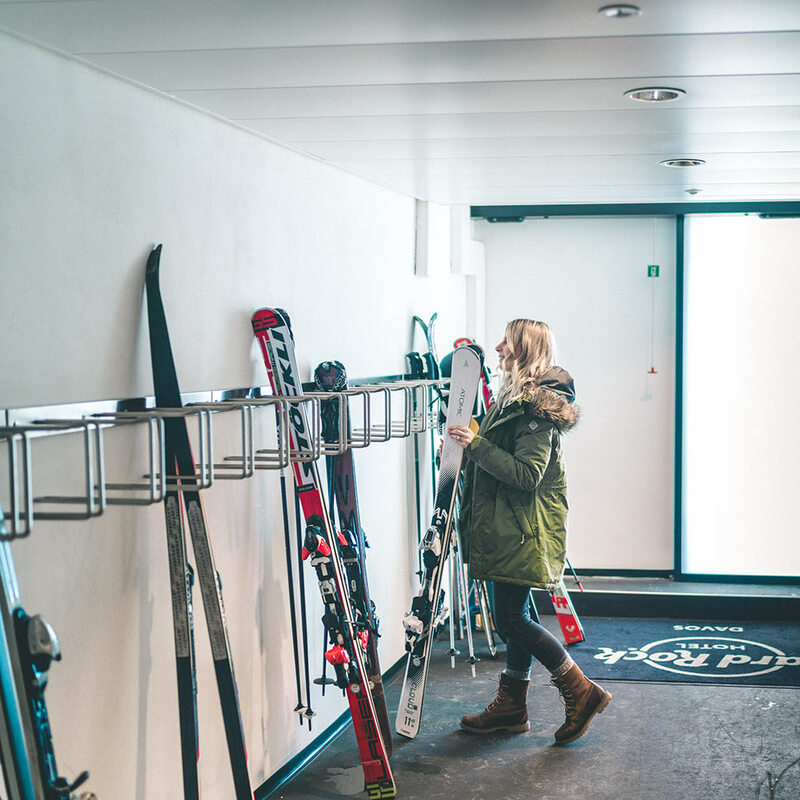 With over 300 kilometres of well-groomed pistes, about 200 kilometres of cross-country ski trails and over 85 descents, Davos may overwhelm someone who is heading there for the first time. 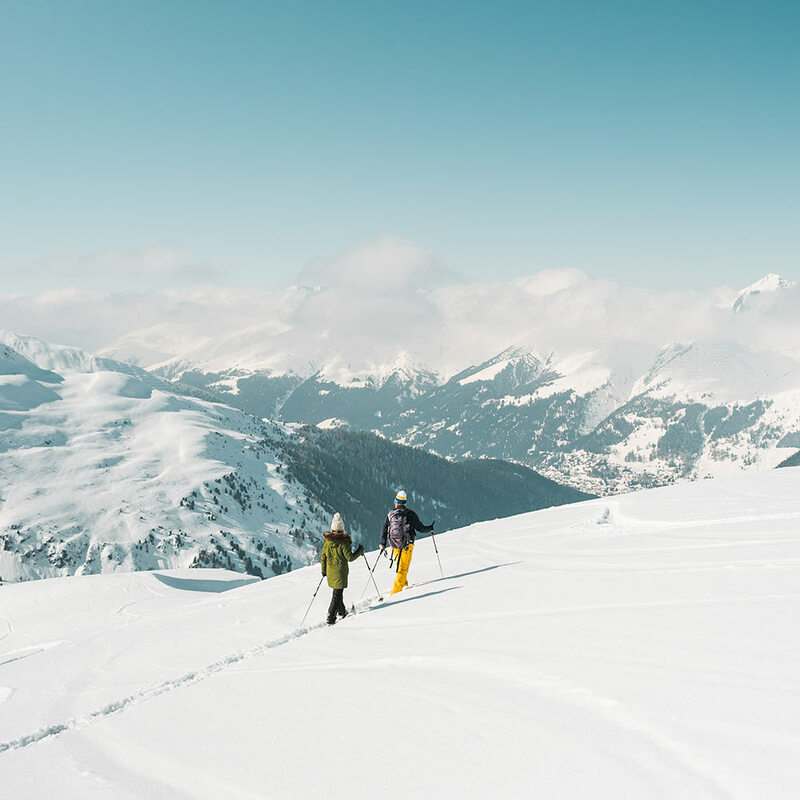 Fear not, for here is our short guide to the best of Davos-Klosters that will help you navigate the resort with ease.There are five separate areas for off- and on-piste skiing in Davos-Klosters and each one has its own personality. 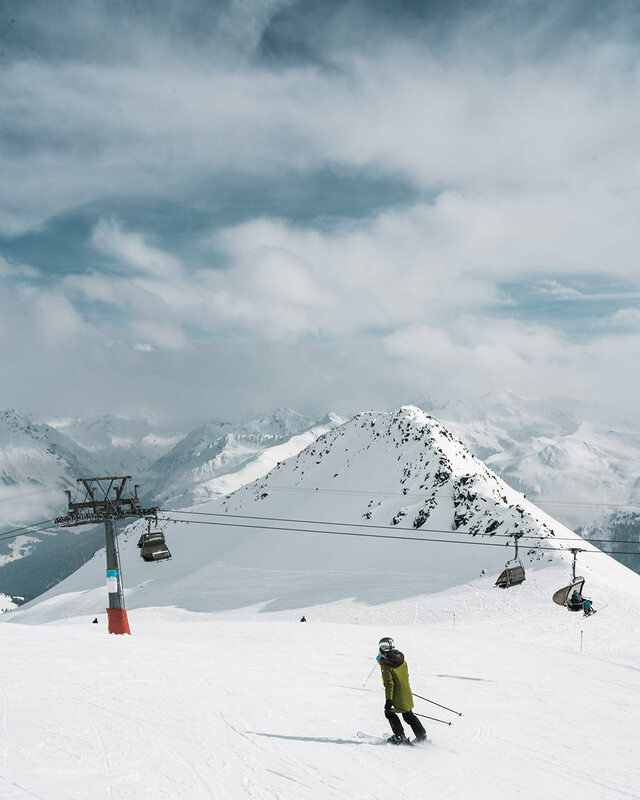 Unfortunately, the mountains are not interconnected, so you cannot get from one mount to another on skis.The standard course of action is to choose a mountain to ski a day. This way you won’t feel overwhelmed by navigating the resort and won’t be separated from your companions. The largest is the classic skiing mountain of Parsenn and Weissfluhjoch area, a skier paradise located between Davos Dorf and Klosters. It has extensive terrain for skiers of any ability, although it’s not the best place for very young kids. If going from Davos, use the Parsenn funicular railway (the Gotschna cable car for those arriving from Klosters). The highest is Jakobshorn, accessible from Davos Platz. With its monster-pipe and half-pipe, the mountain is more suitable for snowboarders, although it does have a few nursery slopes for beginners as well as several ski schools at the bottom of the resort in a place near the Bolgen ski lift. At the top of Jakobshorn, there’s a perfectly groomed JatzPark for freestylers, with four runs and 20 elements such as runs and kickers. The Rinerhorn is located not far away from Davos, above Glaris, but this is the secret place away from the hullabaloo of the crowds. It offers skiing for all abilities. Here you can ski and snowboard in the dark on Wednesday and Friday night. There’s also an obstacle course for kids. Pischa is situated above Davos Dorf, it offers spectacular views. This area is focused on alternative sports such as snowshoe trekking, freeriding, air boarding, fatbike and so on. However, lovers of more traditional skiing are also welcome here. The next area is Madrisa, further away from Klosters. while not as skiing-oriented as the other mountains of Davos, it’s great for families with kids, with a special practice area. Just four minutes by funicular railway from Davos Platz there’s also the Schatzalp area which is sometimes considered the sixth. It reopened not long ago and now boasts “the slow mountain”, the same ski resort but with cultivated gentler terrain and no hustle and bustle of the more popular ones. This is the first “slowed down” ski resort in Europe located and also the place Thomas Mann described in his world-famous novel The Magic Mountain. By the way you can hop on the Schatzalpbahn Cable Car located just in 100 steps away from the upscale apartment complex Residences at the Hard Rock Hotel Davos (31 serviced apartments), which is a part of the same-name hotel recently opened in the very heart of the city and is also considered as a comfy place to stay for those, who treasure slow life and relaxation. Home-like comfort along with exceptional high-end hotel services are the things you really need to defuse tension and clear your mind. That’s not all there is to Davos-Klosters, but it’s a start. Keep the weather conditions in mind, check with the reception at your hotel, and if the weather is fine – go and have fun in the mountains!